Contains essential omega 6 fatty acids (EFAs) which are critical to the health of the membrane. 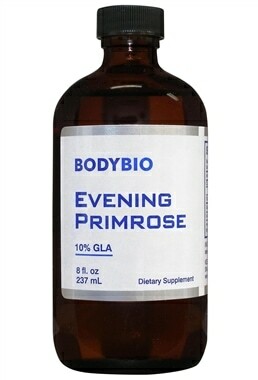 Evening Primrose Oil (EPO) has ~10% gamma linolenic acid (GLA), which is an essential fatty acid. The list of metabolic enhancing functions of GLA could fill volumes. It is clearly one of the most important nutrient/hormones in the entire metabolic scene. Should be consumed within twelve weeks of opening. 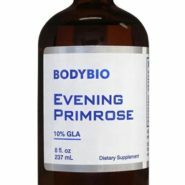 Evening primrose oil (EPO) is a rich source of the long-chain fatty acid gamma-linolenic acid, an important member of the omega-6 family of essential fatty acids. EPO appears to be effective in some cases inflammatory disorders by inhibiting the pro-inflammatory series 2 prostaglandins and series 4 leukotrienes. The body may use it to form hormones and to regulate insulin. No side effects or contraindications have been reported.